My card below features AKV Baby Teddy from Bugaboo Stamps. How cute, beautiful papers and gorgeous image. So cute! I love the DP you used. Really Cute! Thank you so much for joining us this week at Love to Create!! We hope that you will join us again very soon!! That digi is too cute! 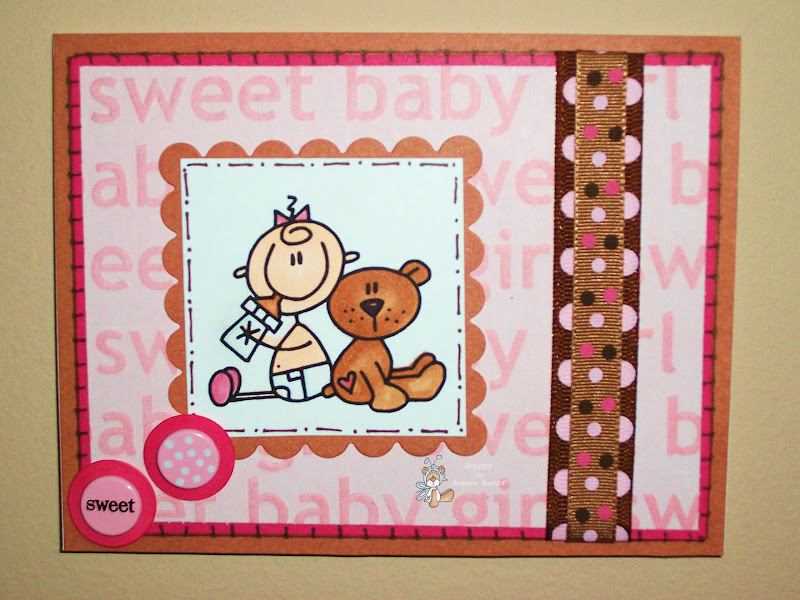 Love the pink and brown and polka dots! Thanks for joining our challenge over at Lollipop Crafts!